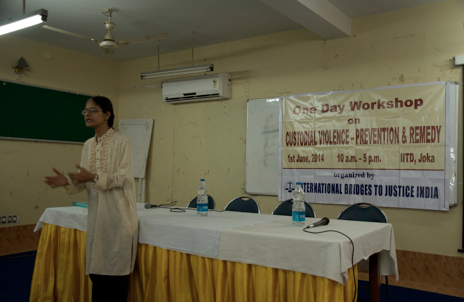 On the 1st of June 2014, IBJ India organised a one day workshop dealing with the contentious issue of ‘Custodial Violence – its Prevention and Remedies‘ in the state of West Bengal. 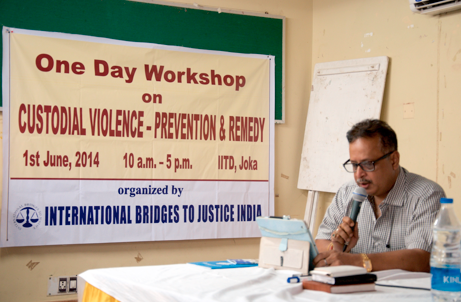 The workshop took place at the Indian Institute of Training and Development (IITD) in Joka, Kolkata and focused primarily on raising awareness and sensitising the various stakeholders of the criminal justice system in West Bengal. The various sessions held throughout the day sought out experts, social workers, direct functionaries and other key stakeholders in the correctional home system. It endeavoured to cull out a comprehensive reflection of the state of affairs prevailing within the confines of the correctional homes that abet torture. The sessions aimed to improve the competence of the prison administration and correctional home settings in West Bengal in the hope to see through the prevention of custodial torture. 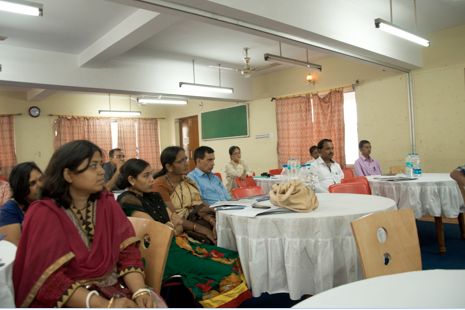 The training sessions saw the appearance of stalwarts in the prison administration system such as Mr. Adhir Sharma, IPS (Additonal Director General of Prisons and Inspector General of West Bengal Correctional Services). 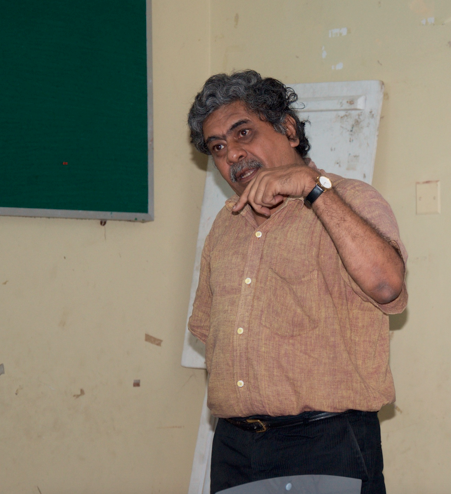 Moreover, Prof. Sujao Bhadra made presentations to address the issues, prospects and challenges that are being confronted by the correctional services system in West Bengal. The prisons of the eastern Indian state of West Bengal are currently governed by a very progressive legislation called the West Bengal Correctional Services Act, 1992. Enacted w.e.f 2000, the act seeks to impart human dignity, rights to a fair trial and the due process of law, entitlements to the access to justice and after care services to the prisoners. The act seeks to turn the aim of incarceration from being retributive to reformative. In doing so, it suggests education, sports and cultural activities as avenues to achieve such reformation. However, the implementation of this progressive legislation is hindered by a few problems such as overcrowded prisons, which consists a large number of undertrial prisoners. Other issues include: the lack of legal awareness on part of the undertrials, indigence and lack of familial support. More specific to the correctional homes in West Bengal are the concerns around the high number of Bangladeshi nationals serving prison terms who are unable to be repatriated due to lack of documentation. Another major problem is the lack of an effective after-release system consequently leading to a situation where prisoners who are convicted for life term offences are affected far more heavily by such incarceration in comparison to other prison inmates. This typically is the case as most life term prisoners leave the prison with scant savings, poor mental and physical health and almost no means to reintegrate themselves into the mainstream society due to a prolonged deprivation. They have no form of health or unemployment benefits and have a significantly lower chance of finding a permanent job due to the label of being a convict. The workshop also delved deeper into other issues such as custodial torture and early access to counsel as an effective preventive strategy to impart dignity and integrity to those still in incarceration. The workshop was able to bring to the forefront a diverse range of issues and further enlighten the prison authorities by building awareness, doing training and having discussions around the ways to deal with the challenges they face in a more effective and uniform manner.